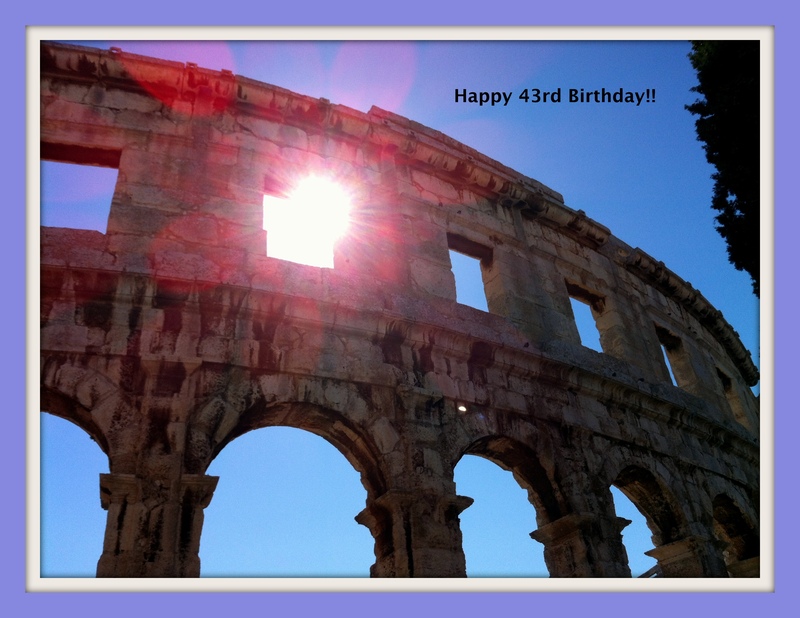 Today was Janell’s 43rd birthday and we celebrated by viewing some Roman ruins in Pula Croatia that are even older than she is! 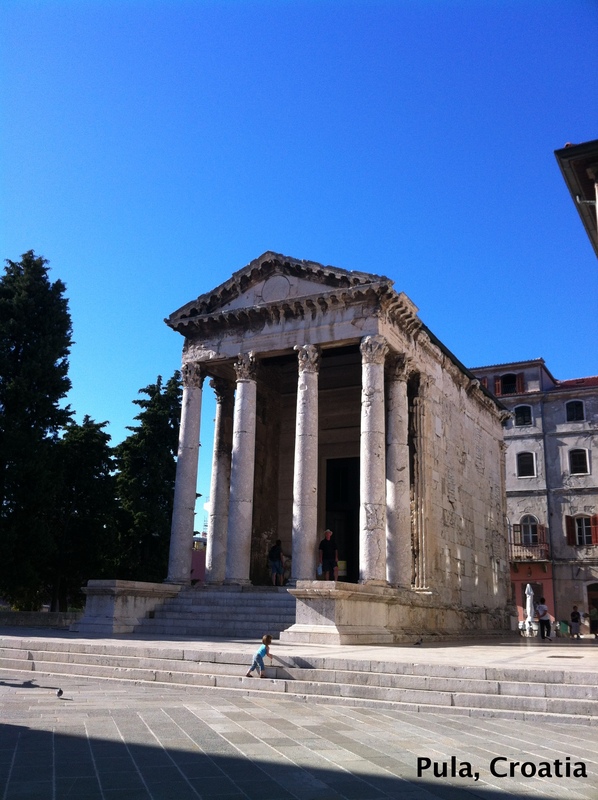 The Pula Arena (pictured below) is the only remaining fully intact Roman amphitheater in the world. It was constructed in 27 BC – 68 AD and is among the six largest surviving Roman arenas still standing. Today it was full of stage equipment and seating that was used for a recent ice hockey match; they still use the amphitheater for concerts and other events… but no gladiators any more. We also visited the Temple of Augustus built around the same time (during the lifetime of Caesar Ausustus). It, like many other Roman temples was dedicated with an inscription, now a bit difficult to read: ROMAE · ET · AUGUSTO · CAESARI · DIVI · F · PATRI · PATRIAE (“the Patricks would like a caesar salad to go”). The original temple was destroyed by an Allied bomb in 1944; what we saw was rebuilt in 1947… but still pretty cool. Dinner was a bit disappointing tonight, but overall we had a good birthday and were home to hit the sack before 22:00 (that’s metric for 10pm… everything is complicated).